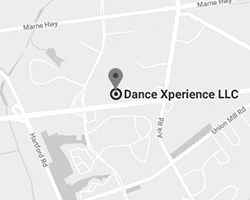 Dance Xperience offers creative camps and classes sure to have your dancer off their devices and on their feet! With daytime camps and evening classes for ages 2 – ADULT we definitely have something for everyone in your family! See our fun camps and class offerings below! Daytime Camps: Your child will LOVE our themed camps! These camps run Monday- Friday. We have camps for ages 3-6yrs and 7-12yrs! Evening Classes: If your summer days are difficult, we’ve got you covered with our evening classes! These fun & challenging classes run on the same day for 6wks. Come for your favorite class during our 6 wk summer session that runs July 9th – August 16th. Please scroll down for a complete schedule! Twinkle Babies is a 30 minute introductory class during our 6 week session, containing Ballet and Creative Movement. 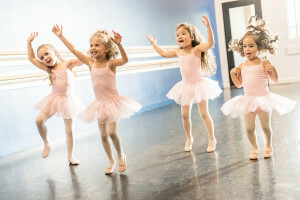 Tiny dancers will twirl, skip and plie’ their way through the basic steps while learning how to follow direction and imitate movement in a positive environment. Engaging music is used to get these little ones inspired to dance. The use of props such as Twinkle Bears (our favorite!) and hula hoops, enables the young dancers to use their imagination, creativity, and most of all, have fun! See Summer evening class schedule! $50 for entire 6 week session. Limited spots available. 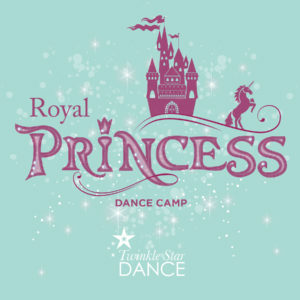 Dance Xperience’s Royal Princess Dance Camp is designed for our young dancers ages 3-6yrs. Each day the dancers explore a different Disney Princess, learn a dance, make a craft, enjoy story time and much more. Royal Princess Tea Party day is so fun as the dancers get to dress up as their favorite Princess and attend a Royal Tea Party! The week ends with a magical show for family and friends starring all of our youngest princesses. Royal Princess Dance Camp curriculum includes lessons in Tap, Ballet and Jazz movement. $125 per week. ($110 if you register before June 22nd) Limited spots available. Hair Up! Calling all groovy dancers to come get down at our Disco Trolls camp. Technique classes in Ballet, Tap & Tot Hop are included along with themed crafts. 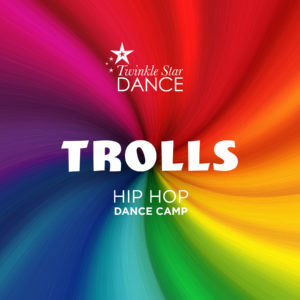 Our campers will also enjoy their very own Trollstice Disco Party where they can dress up in 70s Trolls attire! Family and friends are invited to our mini concert at the end of the week. $125 per week. ($110 if you register before June 22nd) Limited spots available. 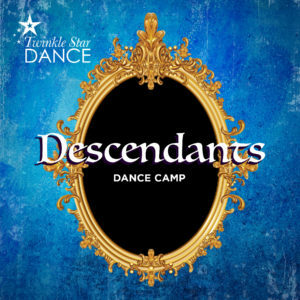 Don’t miss out on Chillin Like a Villain at our Descendants Dance Camp this summer! Dancers learn there are So Many Ways to be Wicked and so many ways to dance! Learn fun moves set to music from Disney’s Descendants soundtrack. Descendants dance camp includes lessons in Jazz, Hip Hop, Tap and Lyrical Ballet. There’s even a special Descendants Dance Party where your dancer can dress up like their favorite character! Each day dancers use their imagination to make a craft that will be used in our mini concert at the end of the week for family and friends. $205 per week. ($195 if you register before June 22nd) Limited spots available. An exciting opportunity to perform in your very own original production!Technique classes in danc- ing, acting and voice are followed by rehearsals for the end of the session performance for family and friends. Students will not only create basic props, sets and costumes but will create their very own script! $205 per week. ($195 if you register before June 24th) Limited spots available. THIS IS ME! 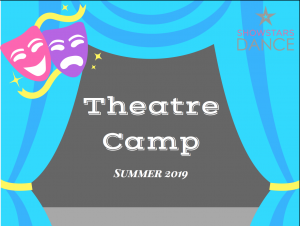 LOOK OUT CUZ HERE IT COMES, A DANCE CAMP THAT INCLUDES ALL OF YOUR FAVORITE MUSIC FROM THE GREATEST SHOWMAN! 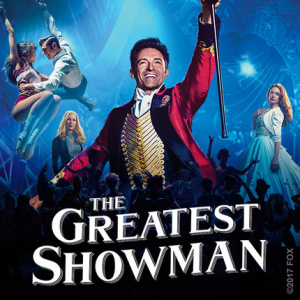 The Greatest Showman Dance Camp includes lessons in Musical Theatre Jazz, Tap, Lyrical/Ballet & even a little bit of ACRO! Dancers will enjoy using their creativity while making themed crafts. Dancers will also enjoy treats & games at THE BIG TOP PARTY. Family and friends are invited to our mini concert at the end of the week. $205 per week. ($195 if you register before June 22nd) Limited spots available. Our Adult Summer Series is perfect for Adults who want to have a blast while they work out!!! Get off the treadmill and into a dance class! We are offering classes in: Adult Tap and returning this summer, Groovics, which is a REALLY fun Adult Hip Hop class as well as our Adult Ballet Workout class! Classes are in a 6 week session. See the summer evening class schedule! Our evening classes run for 6wks. There is no cumulative performance. Ages 2-Adult… These classes run for 6wks. July 8th – Aug 15th. *Must turn the age listed by March 1st 2019. Classes need at least 5 dancers in order to hold the class. 7 day free class pass! That's right! You can participate in our fantastically fun dance classes for 7 consecutive days as a gift from us!